This section of this chapter provides an introduction to diverse pieces of equipment - glassware and non-glassware - that are utilized in the laboratory. 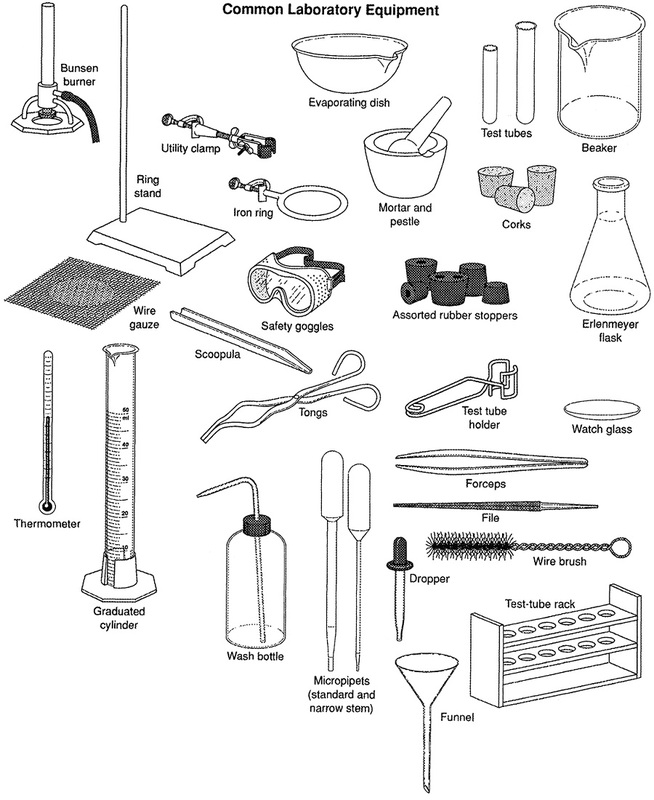 Laboratory glassware terms to a variety of equipment, conventionally made of glass, utilized for technical experiments and another work in science, particularly in chemistry and biology laboratories. Several of the equipment is now made of plastic for cost, ruggedness, and convenience causes, but glass is still utilized for various applications since it is comparatively inert, transparent, more heat-resistant than several plastics up to a point, and relatively easy to customize. 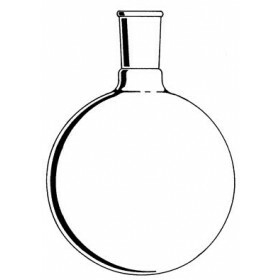 Borosilicate glasses are often utilized since they are less subject to thermal stress and are common for reagent bottles. For various applications quartz glass is utilized for its ability to withstand high temperatures or its transparency in indeed parts of the electromagnetic spectrum. In other terms applications, especially various storage bottles, darkened brown or amber (actinic) glass is utilized to keep out much of the UV and IR radiation so that the effect of light on the contents is minimized. Special-purpose materials are as well utilized; for instance, hydrofluoric acid is stored and utilized in polyethylene containers since it reacts with glass. For pressurized reaction, heavy-wall glass is employed for pressure reactor. There are many diverse types of laboratory glassware items, the greater part are covered in separate articles of their own; see the list further below. These glassware is utilized for a wide variety of functions that consist of volumetric measuring, holding or storing chemicals or examples, mixing or preparing solutions or other mixtures, containing lab processes as chemical reactions, heating, cooling, distillation, separations including chromatography, synthesis, growing biological organisms, spectrophotometer, and having a full or partial vacuum, and pressure, as pressure reactor. Whenever in utilize, laboratory glassware is often held in place by clamps made for that purpose, which are similarly attached and held in place via stands or racks. Aspects of laboratory glassware which might be common to several kinds of glassware are described in this chapter. Glass equipment can be partitioned into those through ground-glass joint sand those with no. New techniques of glass working and the employment of glasses through a extremely low expansion have permitted the mass production freely interchangeable, standard-taper, ground-glass joints. Hence standard-taper, ground-glass joint equipment is strongly proposed. Apparatus might be speedily assembled. In the utilize of ground- glass joints several precautions require to be examined, these as cleaning the joints and the utilize of a little grease or a thin Teflon sleeve. The dimension (in millimeters) and the length of the ground zone (as well in millimeters). Common glassware with no ground-glass joints can normally be employed in the chemical laboratory. The major glassware with no glass joints are demonstrated in Figure. Notes:(a) Erlenmeyer flask and (b) beaker, utilized for temporary storage or transfer of materials; (c) funnel, for transport of liquids and solids, and for filtration; (d) Buchner funnel, that is made of porcelain and has a perforated porcelain plate to support a filter paper, and is utilized in conjunction through a suction flask; (e) graduated cylinder, for measuring liquids via volume; (f) graduated pipette, for accurate dimension. At last, vacuum desiccators are available to take away water or solvents of moderately low boiling point adhering to solids, under reduced pressure at room temperature, or to keep anhydrous compounds. The reagent in the bottom of the desiccators obviously based on the exact nature of the substance to be adsorbed - that could be water, organic solvent or the acid or basic vapour produced during the drying procedure. 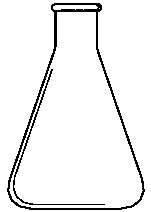 The Erlenmeyer flask is the favorite for common utilize. The tapered top allows us to fit other pieces of glassware as required and builds it harder to slop out the contents. The flat bottom permits it to stand up on the desk top and straight sides build it simple to scrape out a solid product. Filter flasks are thick-walled Erlenmeyer kind flasks utilized in vacuum or suction filtration setups. The round-bottom flask is desirered if we are planning to heat a solution to boiling, as in a distillation. Its geometry favors consistent heating and assists minimize the splashing associated through boiling. It might be hard for us to discern the benefit of using the proper flask in a distillation, but it is always considered bad form to utilize an Erlenmeyer for these a purpose. The Buchner funnel is utilized in vacuum or suction filtration in order to divide solids from liquids. This is utilized through a piece of filter paper covering the holes. Wet the filter paper with the solvent you are using to create a seal before filling it with the solution to be filtered. Sometimes you must press the funnel down onto the top of the vacuum flask to create a good seal. When you have a mushy, damp product, it can help to leave the funnel in place and continue to pull air through it until the product dries slightly. The long stem funnel can help our pour anything neatly, but it is of particular convenience whenever working with volatile solvents. You will find that volatile solvents, because of their low surface tension, are quite easy to splash and spill. It is very convenient to use a funnel when measuring out these solvents because there is no glassware washing cost associated with using it. Just wave the funnel in the air and the solvent will evaporate, leaving the funnel completely clean. The separator funnel is used to separate two immiscible liquids. Typically, you will shake the two liquids together to allow the solute to pass from one to the other. The liquids are then allowed to separate and the lower liquid layer can be carefully drained out the bottom. Always close the stopcock on the funnel before filling it, and always hold on to the stopper when you shake the funnel. The air condenser is mostly utilized as a fractionating column in distillation setups. It can be left release or packed by material which could give out as plates for condensation of the vapour in partial distillation. A drying tube is employed to keep out moisture from an experimental setup during an operation these as refluxing or distillation. It is packed by a suitable drying agent (or desiccant) these as granular alumina, silica gel, calcium sulphate (Drierite) and calcium chloride. The drying tube is filled through tamping a plug of dry cotton or glass wool into the bottom opening, adding the desiccant and inserting an additional plug of cotton or glass wool to avoid spillage. The watch glass is utilized to hold solids whenever being weighed or transported. They should never be heated. There are several styles of clamp and clamp holders that can be utilized to support glassware on ring stands. Usually these can be adjusted to put up any angle. Take a little time to observe how they work. One obvious indicator of whether a student has the lot under control is the appearance of the apparatus. If it is clamped skew to the ring stands and bench top, it not only seems bad but it might not work well. We should acclimatize the clamps to our work, not vice-versa. The Bunsen burner is a significant heat source for the laboratory. The burner has a needle valve situated in its base, and this valve controls the amount of gas that will go into the chimney by the gas inlet to be mixed with oxygen from the atmosphere. Air enters at the bottom of the chimney through the air vents that can be enlarged via turning the chimney. 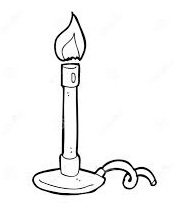 Bunsen burners are utilized for heating and exposing items to flame. They have many more utilizes than a hot plate, but don't swap a hot plate. The evaporating dish is utilized to heat and evaporate liquids. Mortar and Pestle the Mortar and Pestle are employed to crush solids into powders for testing, generally to enhanced dissolve the solids. Tongs are utilized to hold a lot of diverse things these as flasks, crucibles, and evaporating dishes whenever they are hot.